And what workouts they are. These nasty routines run the gamut from extremely difficult to utterly vicious and borderline insane. As long as you’re giving them your all, they’ll leave you winded and sore like never before. A CrossFit staple, the Filthy 50 is a brutal series of taxing exercises that’s likely to seem endless if you’ve never done it before. The circuit includes 50 reps of 10 different exercises, all done as quickly as possible. Do 50 box jumps with a 24-inch box, 50 jumping pullups, 50 kettlebell swings, 50 walking lunge steps, 50 knees to elbows, 50 reps of push press with 45 pounds, 50 back extensions, 50 wallballs using a 20-pound ball, 50 burpees (dropping all the way to the floor), 50 double-unders. 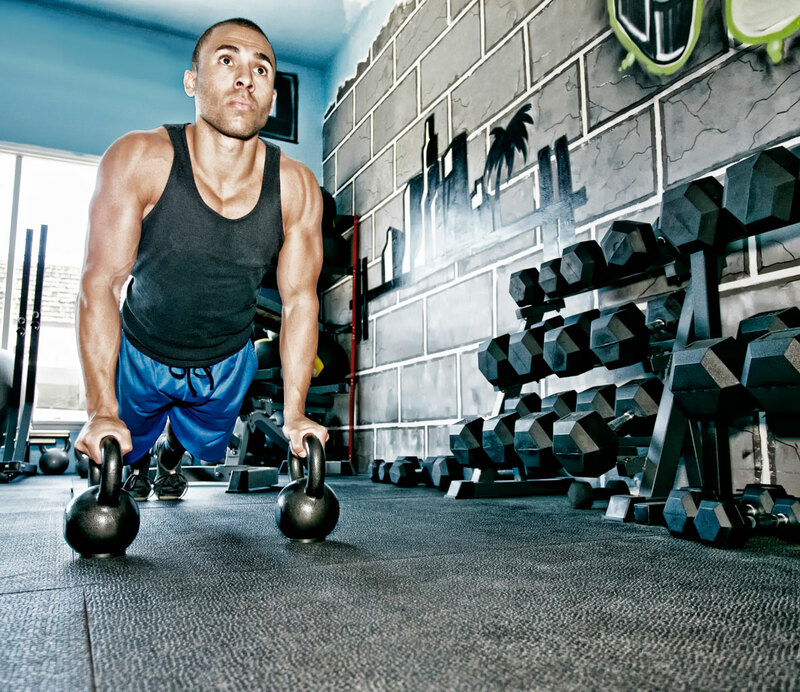 This workout does a good job conveying the basics, and the madness, of CrossFit. This WOD gets to a lot of people at the knees-to-elbows stage, according to Sara Haley, star of Sweat Unlimited, a DVD series of extreme five-minute workouts. “[The Filthy 50] is such a challenge because you have to literally be good at everything. It’s a full-body workout that includes cardio.” The sheer number of exercises can be hard to fathom, so it’s best to just pace yourself and focus on the task at hand, not on how much more there is to do. 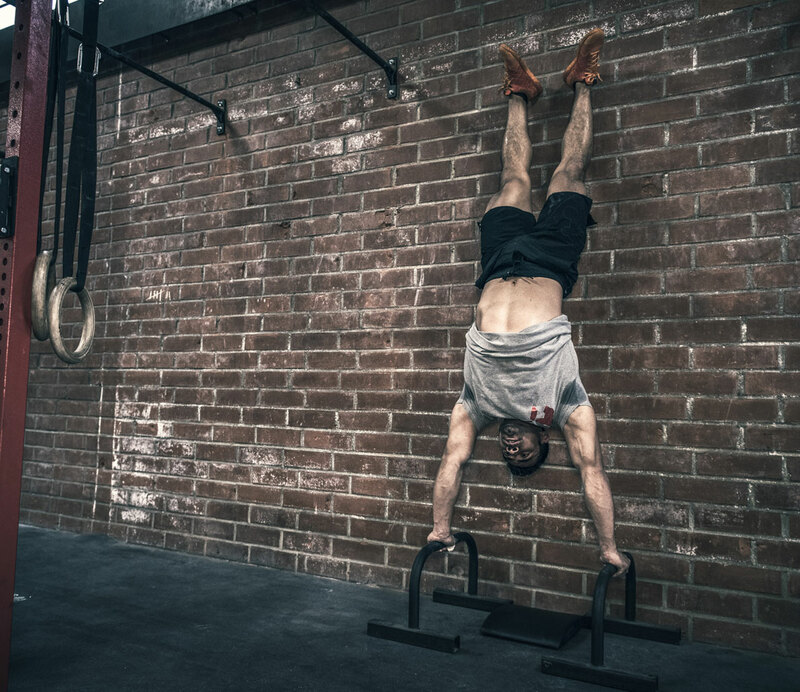 Of course, you can also modify this and do less of each exercise if you’re new to CrossFit and don’t want to dive in head-first—try 20 or 25 of each during your first time through the circuit. Fran is a series of thrusters and pullups done as quickly as possible. This is a shorter WOD that includes three rounds, including 21 reps of each exercise in the first round. In the second and third rounds, you must complete 15 and 9 reps of each exercise respectively. You can modify this WOD to your ability—the thruster can vary in weight and you can do jumping pullups as well. 5 minutes, but this really depends on the size of the weights you use. Murph is pretty simple, but relentless: Run one mile and then do 100 pullups, 200 pushups, 300 squats, and then run another mile. Do it as fast as you can. Pullups can be modified if need be. Higher end athletes/CrossFitters do it all with a weighted vest. The workout is named after Navy Lt. Michael Murphy, who was killed while serving in Afghanistan. None of these exercises are anything you haven’t encountered before; it’s just the sheer quantity, and the fact that you’re doing them all at once. The key is to pace yourself, especially during the first few exercises. Nathan Forster, owner/trainer of Reebok CrossFit 5th Ave in New York, says that the last mile is always the toughest part, no matter how well you’ve paced yourself. “You want to sprint to the finish but for most people, they’re pretty gassed at that point,” he says. Go for 40 minutes or less, but up to 45 minutes is still strong. Exercises are done as quickly as possible in a cycle for seven rounds. Each round includes 7 handstand pushups, 7 135-pound thrusters, 7 knee-to-elbows, 7 245-pound deadlifts, 7 burpees, 7 kettlebell swings, and 7 pullups. No filler exercises here—every piece of this WOD brings up a new challenge, and you’ll have to be ready for more since there are seven rounds. “The thrusts are the most difficult part for me, but a lot of people can’t even do a handstand push-up, so that could be the hardest part for some people,” Forster says. There are various ways to modify handstand pushups if you haven’t mastered them and are ready to tackle the rest of this circuit. According to Forster, a “monster” time would be 20 minutes. If you haven’t completed this WOD but are on your way, shoot for 35 to 40 minutes. The Ryan lasts five rounds, done as fast as possible. 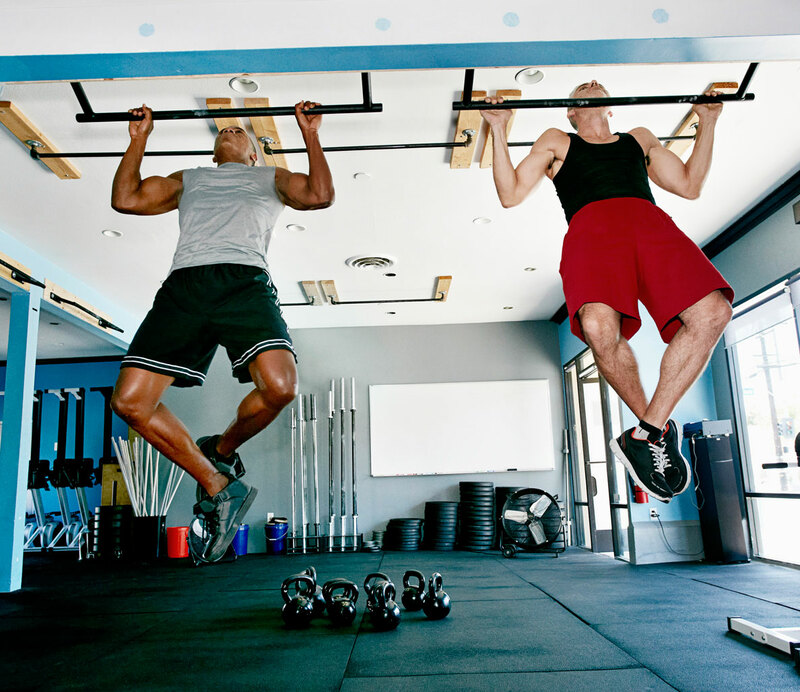 Each round includes 7 muscle-ups followed by 21 burpees. The workout is named after Missouri firefighter and CrossFit enthusiast Ryan Hummert, who was killed by sniper fire while responding to a call. 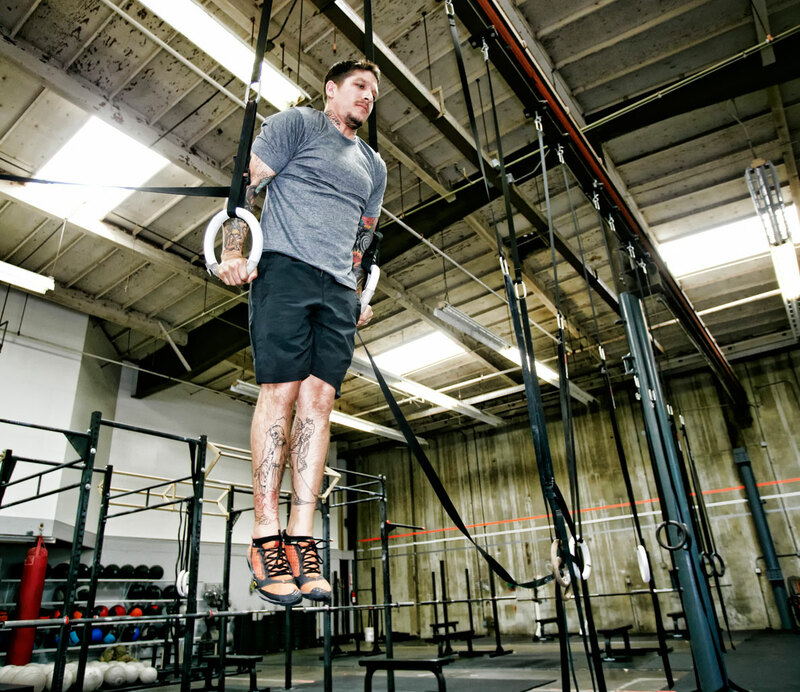 On its own, mastering the muscle-up is a rite of passage in CrossFit. Not many people know how to do one, so being able to perform one shows a huge commitment to CrossFit training. That said, this WOD requires you to complete a huge number of them. Haley advises to get a great coach who can do muscle-ups well if you have an interest in learning the exercise. Once you learn that, this circuit will provide yet another insane challenge. Try to get your time under 25 minutes. Highly experienced CrossFitters can get down below 15 minutes. As Forster puts it, “It’s a faster workout, but if you can’t lift a lot of weight, you’ve got no shot.” There are three rounds done as quickly as possible, all unbelievably difficult. Each round includes a progression of 1 deadlift at 455 pounds, 2 muscle-ups, 3 squat cleans at 250 pounds and then 4 handstand pushups. Arnie is a “Hero” WOD (created to honor fallen heroes) in honor of LA County Fire Fighter Specialist Arnaldo “Arnie” Quinones, 34, who was killed in the line of duty in 2009. The WOD is performed using a 2-pood (70lb) kettlebell for: 21 Turkish get-ups (right arm), 50 swings, 21 overhead squats (left arm), 50 swings, 21 overhead squats (right arm), 50 swings, 21 Turkish get-ups (left arm). If you aren’t already comfortable with the Turkish get-up, that movement alone will be a challenge in itself, so scale the weight if you need to. An incredibly technical move, the Turkish get-up requires significant shoulder stability, core control, hip mobility and lower body power. You’ll have the chance to tax all of those muscle groups again and again on the swings (working the posterior chain, the hips, and the shoulders), and the overhead squats (challenging posterior chain, hip mobility, and shoulder stability). This brutal hero WOD in honor of Marine Corps Sgt. Michael C. Roy is made up of five rounds for time of 15 deadlifts at 225lbs, 20 box jumps (24-inch box), and 25 pull-ups. The work doesn’t seem like a lot in this one… until you do the math and realize this adds up to 75 deadlifts, 100 box jumps, and 125 pull-ups. The deadlifts will start you off by taxing your posterior chain and and upper back muscles, the former of which you’ll tax again on the box jumps, the latter on the pull-ups. Remember that just because you can do a set of 5 or 6 dead at that weight does not mean you can sustain it with proper form for 75 reps—scale if necessary. If your form goes to hell on the deads and you start using your lower back muscles, you’ll feel them even more every time you land on top of the box. Pull-ups can be scaled by using an elastic band. A great time would be 25 minutes or under but pay attention to form first on the deadlifts to avoid injury. Performed in honor of USAF SSgt Timothy P. Davis, DT is a brutal mess of heavy barbell movements. Complete 5 rounds for time of 12 deadlifts, 9 hang power cleans, and 6 push-jerks. Putting 155 pounds (the RX weight for this) on the bar for the deadlift doesn’t sound so bad, right? The catch? The weight stays the same for the cleans and the jerks, so while you might be ripping the bar off the ground in the deads, you might meet a bit more resistance in the cleans and jerks. This one will seriously tax both your grip strength and your cardio capacity. Break down the sets into smaller mini sets if you need to. And remember if you’re scaling the weight, pick something that you can handle for all three movements. Exactly as it sounds: complete one mile of burpees. Find a track, do a burpee followed by a broad jump. Repeat for four times around the track or 1600 meters. On average, athletes complete 600-800 burpees over the course of a mile. No walking allowed. That’s a hell of a lot of burpees, and while this will tax all of the muscles in your body, it will likely present the biggest challenge to your willpower. The average finish time is about 90 minutes with the number of burpees based on the length of your broad jump. Some of the hardest CrossFit workouts are named after women. Why? Greg Glassman (founder of CrossFit) has explained: “I thought that anything that left you flat on your back, looking up at the sky asking ‘what just happened to me?’ deserved a females name.” Chelsea has the same rep scheme (5 pull-ups, 10 push-ups, and 15 squats) as her slightly less evil sister, Cindy, but with a twist: this one’s a 30-minute EMOM (every minute, on the minute). At the start of each minute, try to complete all the reps. The remaining time left in the minute is your rest. Unless you are really solid in each movement, enough to move quickly and with good form, you’ll have little rest each minute for a full half hour, meaning you’ll be working at high intensity for the duration of the workout. Your score is the total number of reps you complete in the 30 minutes. If you complete the entire thing, that’s 150 pull-ups, 300 push-ups and 450 air squats. A hero WOD honoring Robert James “Bob” Kalsu, this one is all about the thrusters with some burpees mixed in for an added challenge. Work on completing 100 reps of thrusters (RX weight is 135lbs). At the top of each minute, put down the barbell and complete 5 burpees (the workout begins with 5 burpees). Continue until you complete 100 thrusters. This one presents a particularly interesting logistical challenge: the faster you go, the less burpees you have to complete. But you also risk exhausting yourself pretty quickly with some heavy weight. Stick to pacing yourself and there are a lot of burpees in your future. This workout challenges your leg strength and power but also requires a lot of endurance—if the weight doesn’t kill you, the cardio will. Your score is the time it takes you to complete the 100 thrusters. Your finishing time for this is going to be largely dependent on the weight you use and your strategy and finish times range from 15 minutes to upwards of an hour. A mess of movements, stations, and an unrelenting clock, Fight Gone Bad will leave you feeling as beaten-down as expected. There are five stations: Wall Balls (RX is 20lb ball), Sumo Deadlift High-Pull (RX is 75lbs), Box Jump (20”), Push-Press (RX is 75lbs), Row (for calories). You spend a full minute at each station, banging out as many reps as possible. When the clock beeps, you switch stations as quickly as possible since there’s zero rest between stations. At the end of 5 minutes, there’s a merciful one minute of rest. Complete three rounds and tally your score which is total reps at each station (for the row, it’s calories). Your score for this is the total number of reps you can complete. Rich Froning has scored over 500 on this workout but a great score for mere mortals would be 400+. Thirty clean & jerks for time at 135 pounds. That’s it. Compared to the rest of the WODs on this list, this one seems deceptively simple. But the clean & jerk, two of the Olympic lifts, are two of the most difficult CrossFit exercises to master, requiring an incredible amount of technique (not to mention strength and power). 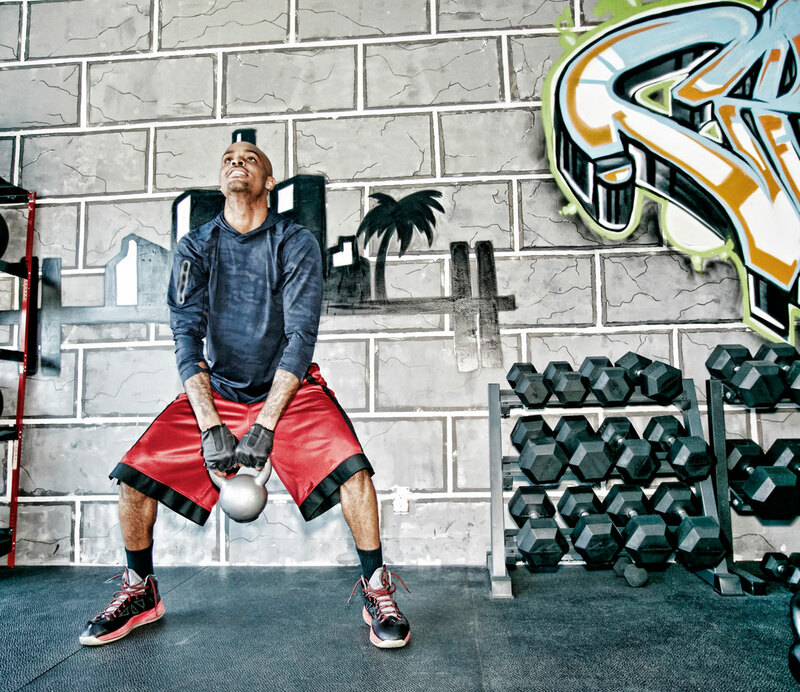 You’ll want to pick a weight that’s tough but that you can handle with good form for 30 reps. The best of the best can do this with RX weight in just over a minute, but the average recorded times for the rest of us is closer to about 3:30/4. This is one of the “benchmark” WODs so keep track of your time and as you get stronger and more fit, find another time to re-test and check your progress. Any workout with a run inspires fear in the hearts of CrossFitters. And this one, named for U.S. Marine Corps Captain Brandon “Bull” Barrett, has two of them. For a mile each time. For time, you’ll complete two rounds of: 200 double-unders, 50 overhead squats (RX weight is 135), 50 pull-ups, 1 mile run. For starters, there’s a hell of a lot of cardio here between the double-unders and the run. Once your legs are burning from the double-unders, you get to hoist 135 pounds overhead and manage to stay steady and tight enough to complete 50 overhead squats. Once your shoulders are good and exhausted, you move on to 50 pull-ups. Then top it all off with a 1-mile run and repeat the whole thing. The winner of the 2009 CrossFit games finished this one in 33 minutes. For everyone else, finish times are around 40/45 minutes.